When you decide to lower your Scion FR-S / Subaru BRZ the front wheels will have negative camber, or be tilted inwards. This problem creates uneven tire wear and less grip when corning hard. Hotchkis have developed these Hotchkis Sport Suspension Camber Plates to solve this very problem. 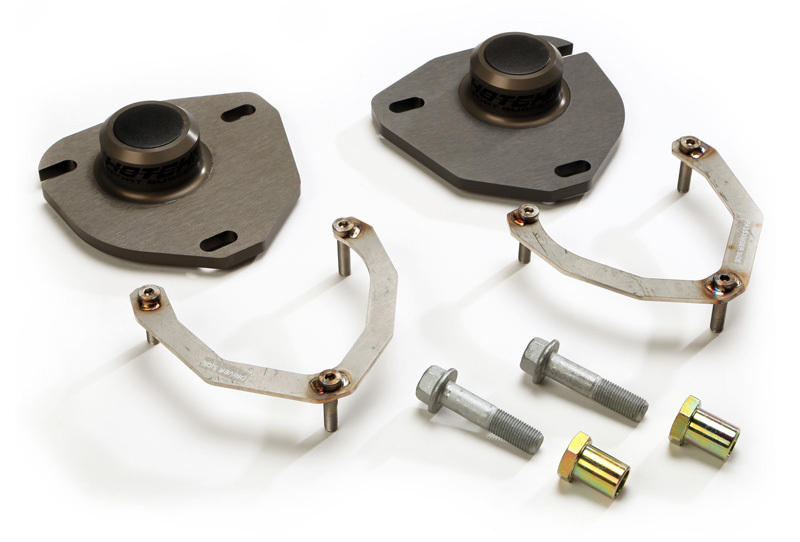 These Hotchkis Camber Plates enable you to adjust your camber to set it closer to 0 in order for the best handling possible. These plates are precision CNC machined from 6061 T6 aluminum and feature type 3, hard anodized finish for years of durability and performance. Each plate is loaded with a high quality PTFE lined bearing and is designed for easy service. The plates do not change vehicle ride height and are designed to adjust up to -3 degrees of camber when using the included strut bolts. Caster has been increased on this plate by +1 degree from stock. Hotchkis Camber plates are a must for any track car or owner looking to gain the extra edge of performance.